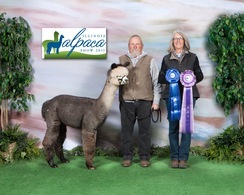 1st place in first show! As we were looking to add true black to our breeding program, we searched and searched to find the right female. Wanting to have a true black female that could also bring grey genetics with her was one of the criteria as well as being just plain spectacular! 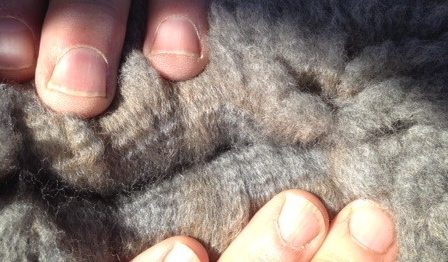 This female had to have phenomenal fleece characteristics. 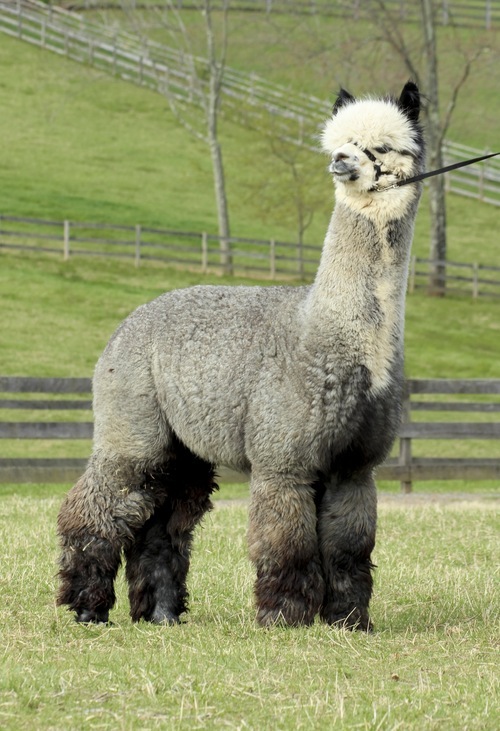 Oh and having been bred to one of the top grey herdsire in the USA is a plus! We found her at the 2014 Parade of Champions Auction! May 10, 2016 was an exciting day for us when this guy entered the world! 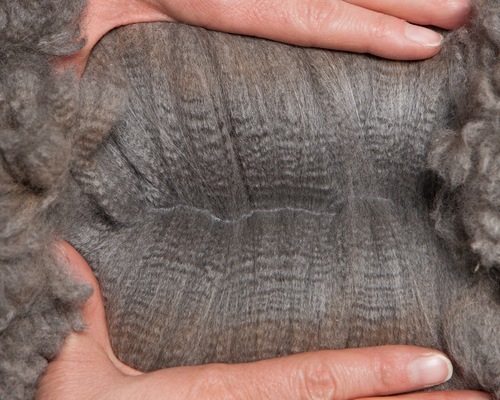 Not to disappoint, PJA Super Sonic's X-1 is growing into a wonderful male with fleece characteristics that we have been trying to achieve for years. Wonderful crimp style, incredible soft handle and gorgeous bright color all packed onto a body that is well balanced and showing great bone. 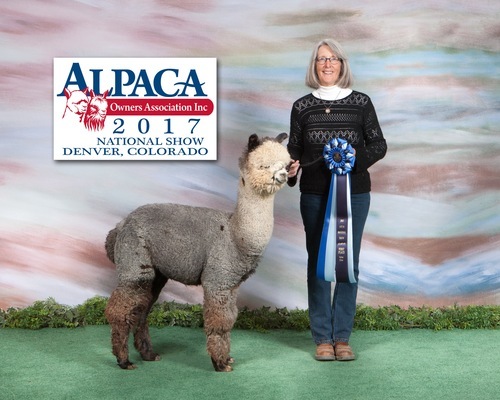 The future holds great promise for this young guy in show and into his breeding years. 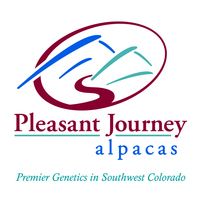 Yes, looking forward a bit, but we know he will become a wonderful herdsire like his sire, A Paca Fun's Super Sonic. 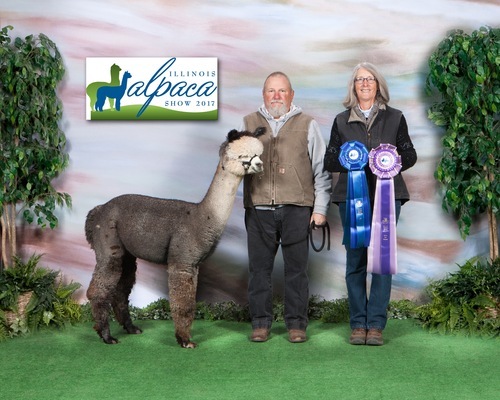 First Place 2017 MOPACA - Robin Nasseman (class of 6) "finest in class, densest in class, whole package put together"
First Place 2017 GWAS- Wade Gease- Super Competitive class of 8! Superb comments on hand, fineness, density, uniformity, crimp, body conformation. 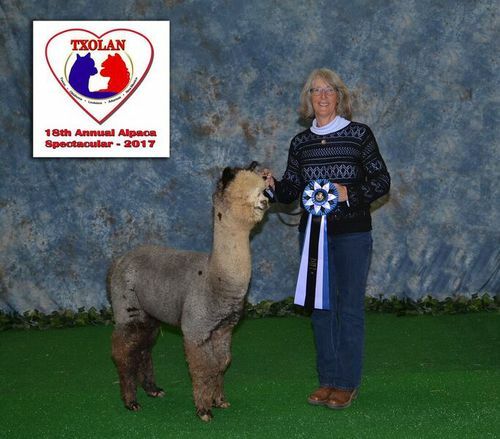 First Place 2017 A-OK Blast Off Breeders Best 3 (with PJA Tia Maria and PJA Sonic's Sweet Reflection) - judge commented the first time she awarded 1st to a group of grey/black!